Cadbury’s 2019 "Hunt the White Creme Egg" integrated campaign will involve the brand hacking other companies’ social media feeds, billboards, websites and live experiences by hiding a White Creme Egg in their advertising. The activity, created in partnership with Elvis and Golin, will include sister Mondelez International brands as well as others, including Benefit Cosmetics. Consumers can get clues from HuntTheWhiteCremeEgg.com and upload photos of the sightings to win prizes including 30,000 milk chocolate Cadbury Creme Eggs, 1,000 rare white eggs and £10,000. Aislinn Campbell, brand manager at Mondelez, said: "Last year’s debut of the White Cadbury Creme Egg exceeded all expectations in terms of media and social conversation, so this year we wanted to take it to a whole new level with an Easter Egg Hunt like no other. "We’re excited to announce the return of the coveted White Cadbury Creme Egg and our brand new campaign, where we’ll get the whole nation hunting for the gooey goodies that we’ve hidden in the places you’d least expect to find them – other brands' ads." 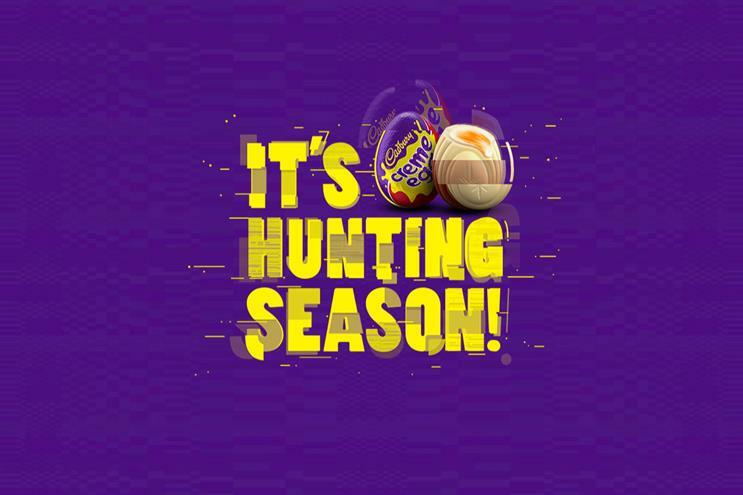 The work, which includes TV, print, out-of-home, digital, social, in-store, PR and media partnerships, follows last year’s "It’s Creme Egg hunting season", which was named Best Integrated Marketing Campaign at the 2018 Campaign Event Awards. An experiential element will be announced in the next few weeks.